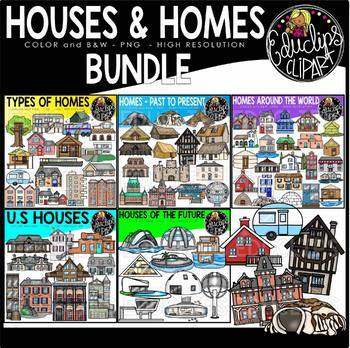 This is a collection of 5 sets of house and homes clipart. 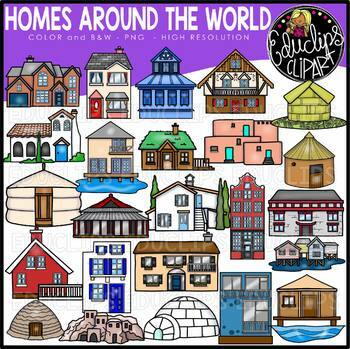 Homes Around the World, Homes-Past to Present, Homes of the Future, Types of Homes, US homes. 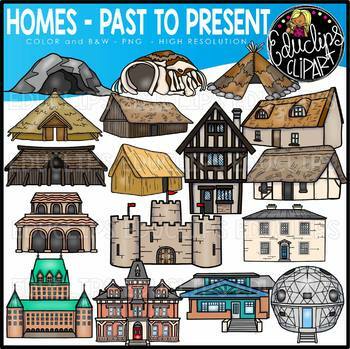 This is a set of different styles of homes that people have lived in from the past to the present. A selection of dome shaped. underwater, floating, triangular, tall, futuristic style homes. 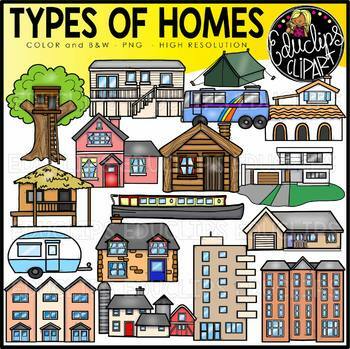 A selection of some of the different types of popular homes available.